3M evolved from the safety requirements of the Minnesota Mining and Manufacturing company. 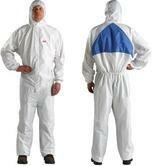 3M products are comfortable, durable and easy to use. 3M supplies over 60,000 products. Their PPE solutions are widely accepted and are likely to be the PPE solution that you and your team will want to wear. Despite the fact that safety has improved considerably, heavy industry still requires PPE as the last line of protection for workers. 3M provides the most advanced solutions for respiratory, eye and face protection, plus state-of-the-art eye shields and helmets for welders. 3M offers a range of 3M Peltor hearing protection solutions from EAR Corded ear plugs and 3M Peltor Optime 2 helmet mounted ear defenders, to two-way headsets and comms systems. 3M also provides solutions (dust masks, breathing filters etc) to enable construction respiratory hazard protection against dust, silica, chemicals, and all common hazards on a building site. 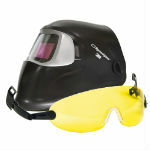 3M Eye protection covers eyewear, face visors and even 3M Speedglas face protection for welding. In their own words; "3M is about protecting the safety of workers in all types of workforce environments. 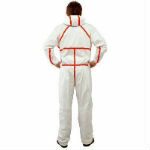 3M aims to deliver comfortable, well-designed PPE giving workers the most effective protection available". In our words: We offer 3M because the performance is reliable and proven: 3M is the UK leader in respiratory sales. 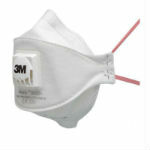 Almost 80% of dust masks and face protection in the UK is supplied by 3M!. 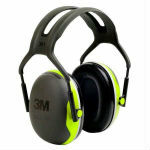 In addition, 3M owns Peltor, a globally-renowned brand of high quality ear defenders. 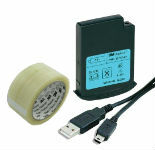 Check out our best seller: the 3M Peltor Optime 2.